Metallica, schmetallica; if there’s any band that should have their own Guitar Hero game, it’s these dudes. 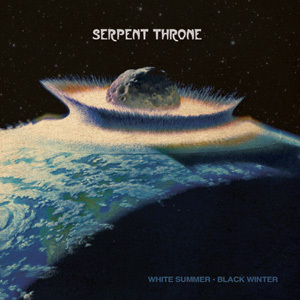 Serpent Throne’s rollicking instrumental jams encompass 40-odd years of hard rock and metal history – everything from Black Sabbath and Thin Lizzy to Mastodon and Kyuss – and it’s all played out with such passion and conviction that you’ll want to reach through the speakers and give them a high-five. Put simply, if tracks like ‘Headed For An Unmarked Grave’, ‘March Of The Druids’ and ‘Riff Forest’ don’t have you clambering for the nearest air guitar, then congratulations: you’re officially dead inside.